I think that went as well as I probably should have anticipated when I randomly decided to sign up yesterday lunchtime. It turns out that activities that span 24 hours do require a little more planning than, “Hey, look! Everybody’s reading! I want to read too!”. I don’t think it helped that all of my books are packed away ready for me to move house, most of my furniture is dismantled (which meant that I had to read in the living room, where Boyfriend was playing on his PS3 and watching TV) and I had barely any food in the house when things kicked off. As it is, though, I really enjoyed the bits that I did take part in and next year will almost definitely be holding my eyes open into the early hours of the morning and drinking coffee like its going out of style instead of worrying about all the things I have to do today as a fully-functioning, sociable human being. Also, it turns out that jet lag is very much a thing so I’m sort of half trying to keep “normal” hours so that I don’t die when my alarm goes off at 5.45 tomorrow morning. ANYway, let’s wrap this read-a-thon up! I think maybe the last couple of hours, actually. I had some stuff that I needed to get done before going out for the afternoon but I really wanted to be reading Bellman & Black. I’m pretty much done and will probably read it on the way into town for late lunch/early dinner. 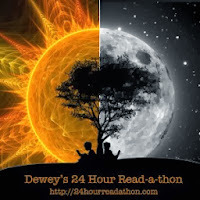 Hanna mentioned this too but I think a couple of lighter challenges – I haven’t a clue how people manage to do the challenges that require more preparation/thought, tweet, update blogs and actually READ. If I’d done any challenges, I’d have done even less reading than I actually did! Or maybe if I was really ploughing on with reading, they would seem a lot more doable? Twitter! I think it’s the same for every read-a-thon but it’s fab being able to do a quick Twitter update and see so many other people across the world reading! That would be most of one…good, eh?! Because I haven’t mentioned it enough around here? 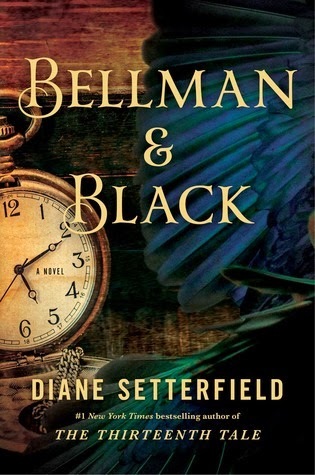 Bellman & Black by Diane Setterfield. Don’t make me say it again! I wasn’t but they do such an amazing job that I wouldn’t presume to give them any advice! I hope your read-a-thon went swimmingly and that you got through everything you wanted to! See you all next year! !